It is a good quality / price divot tool. It looks good. The magnetic ball marker is very useful. As an extra it works as a bottle opener too, excellent to play hole 19. I use it for a while now and it is a great product ticks all the boxes I would recommend this. 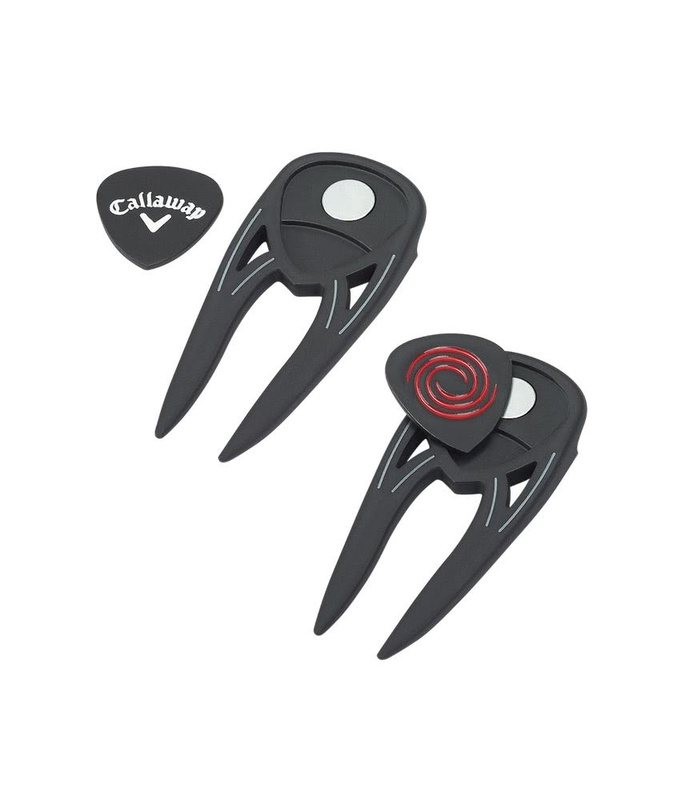 As always Callaway produce another amazing divot tool. A quality divot tool, however i prefer a folding one to prevent the risk of puncturing pockets, hence 4 stars. The magnetic ball marker is a nice addition. 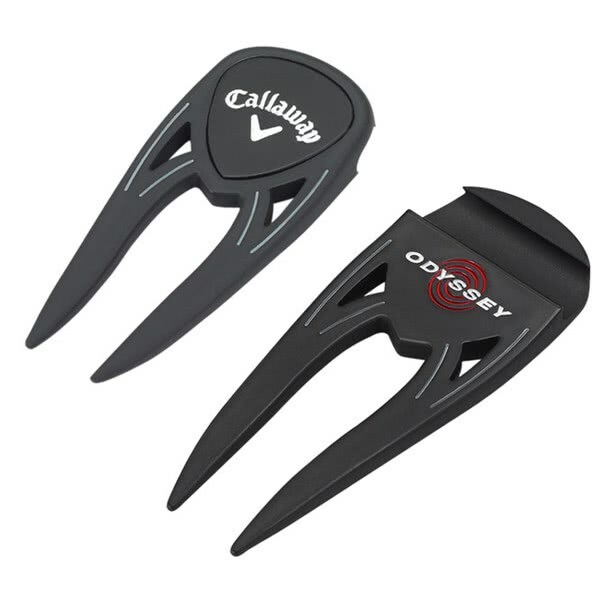 The Callaway and Odyssey Double Sided Divot Tool is a must for every serious golfer. 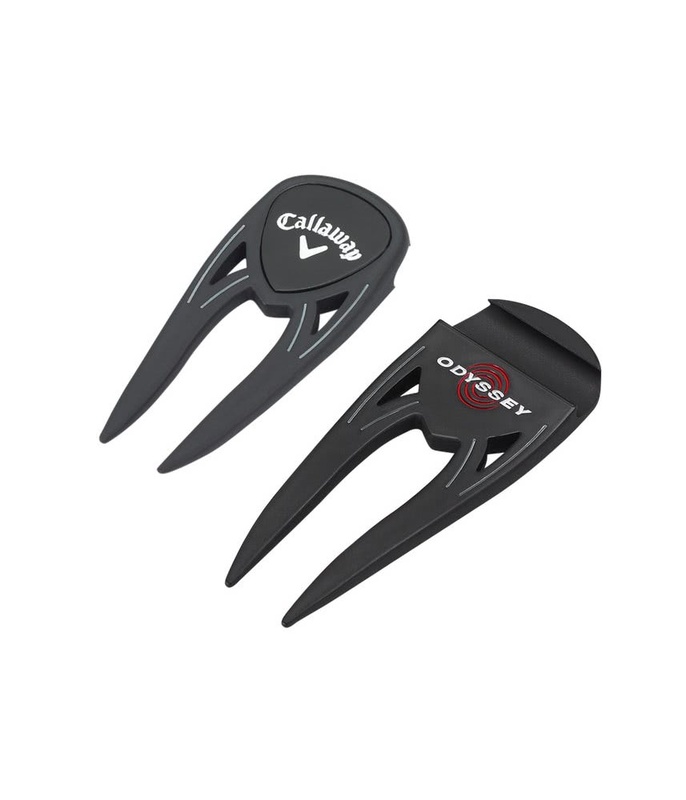 The double prong design has been shaped to lift pitch marks easily without damaging the turn. 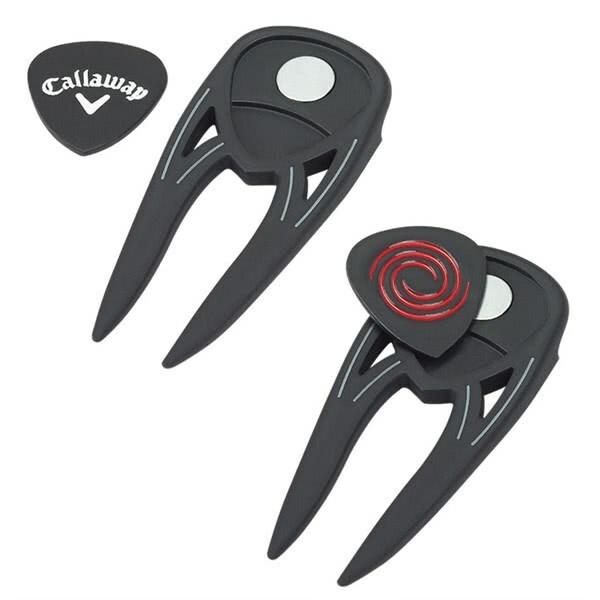 The ergonomic shape of the divot tool sits comfortably in your hand and features a removable Callaway ball marker. Another excellent feature of this divot tool is the integrated bottle opener on the backside.